is in the air we are here offering amazing discounts on our Tile and Grout cleaning Services. Call us now and get your tile cleaned at very low cost. 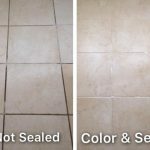 Technicians of Fresh Tile Cleaning are absolutely qualified in tile cleaning, tile repair, grout cleaning, tile removal, and floor removals for residential and commercial purposes. Recently, one of our workers has got license (License number 448321). We are also an insured company that has got $15 million coverage for public liability. In our neighborhood, we daily see so many unwanted accidents in the family at home, just because of slipping on floor tiles or bathroom tiles. So, Tile cleaning has become important for the safety and well-being of family members. Tiles should be cleaned and maintained properly if want to get rid of these types of incidents. 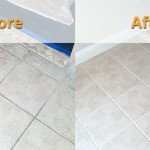 While you search on internet, you can find many tiles cleaner in Melbourne who claim that they offer you superior quality tile cleaning services at affordable price. Here some few point which you may consider while hiring tile cleaner. First and foremost, ensure that the cleaner for tile and grout cleaning Melbourne has extensive experience in tile cleaning and get information about their method of cleaning. Make sure the tile cleaner has all high quality equipment and product to do the job. Read their review and testimonial which they get from previous client or customer. Lastly, he must be fully accredited and certified cleaner. How long will a sealer last? Should I use any type of floor cleaner if I have the sealant applied? Can you change the colour of my tile grouts ? Should I get the tiles and the grouts cleaned up professionally? 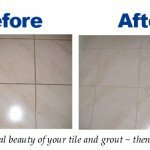 Fresh Tile Cleaning Melbourne provide guaranteed tile cleaning, grout cleaning, tile recoloring, grout sealing, tile re-grouting services from last 10 years across all Melbourne suburbs, our cleaners are certified and expert in grout cleaning Melbourne. Get your grout and tile problems scrubbed away when you book with Fresh Tile and Grout Cleaning Melbourne.